Protect your car’s engine and ensure safe driving performance with a regular oil change. Fairfax Station, VA, residents can depend on the ASE-certified master mechanics and trained technicians at Wiygul Automotive Clinic for convenient, efficient automotive services and computerized monitoring of their mechanical, computer, and other vehicle systems. When the time comes for an oil change near Fairfax Station, VA, synthetic oil costs more, but it provides long-term benefits well worth the small investment. With longer intervals between oil changes, improved protection for extreme driving conditions like stop-and go rush hour or vacation traffic, or running errands around town, you gain added protection for your engine and peace of mind that you will not be in danger of breaking down. Our loyal customers know they can expect nothing but the finest automotive services, including regular oil changes for Fairfax Station, VA, cars and factory scheduled maintenance for all makes and models of cars, trucks, and SUVs at affordable prices at Wiygul Automotive Clinic. Right now you can get $10 off a synthetic motor oil change near Fairfax Station, VA, at Wiygul Automotive Clinic for most cars and light trucks. Shop supplies and taxes are extra. A standard oil change includes up to 5 liters of motor oil and new oil filter. Act now as this special offer expires July 31, 2015. Ask one of our auto technicians for additional details. 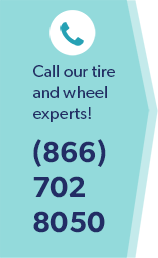 Wiygul Automotive Clinic is conveniently located right off Burke Centre Parkway in Burke, VA. Visit our website or call us at 703-764-1700 if you have questions, want to schedule service, or would like to speak with an auto technician. Experience the Wiygul Automotive Clinic difference, and drive anywhere with confidence.